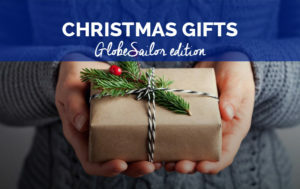 When he isn’t crossing the Atlantic or hopping aboard as mediaman on some of the biggest and most glamorous ocean racing boats, Stan Thuret knows how to take it easy and make the most of sailing in the sunshine. 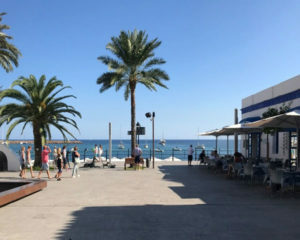 He headed to the Balearic Islands for a 7-day holiday with some friends at the end of September. 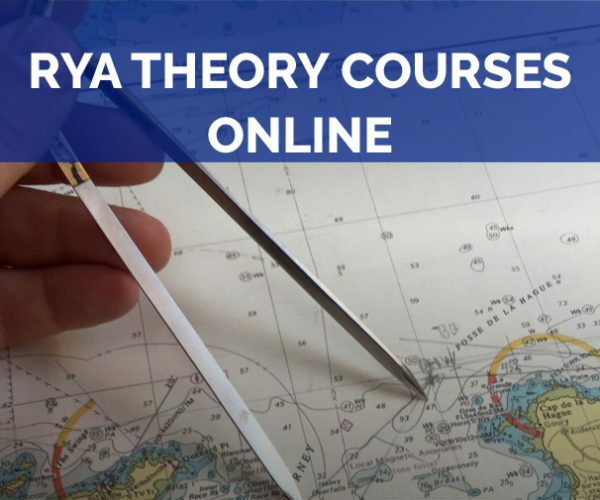 Prepare yourselves for a revision of sailing vocab as he recounts his cruise! 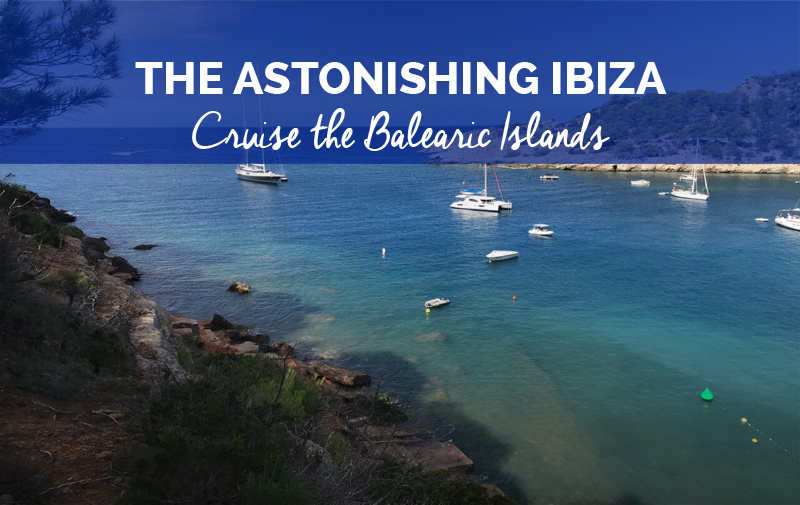 Thank you to Stan for this super cruise itinerary around Ibiza. 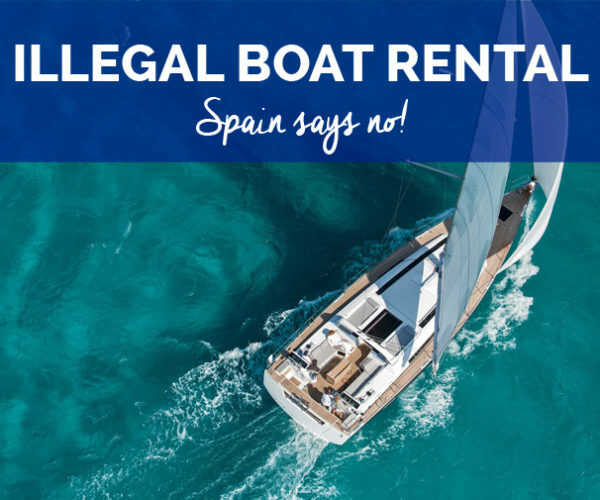 In our catamaran Sunsail 444 (Leopard 44) we head to the marina in Palma, Mallorca, situated only a few minutes by car from Palma Airport. We spend our first night at the marina. 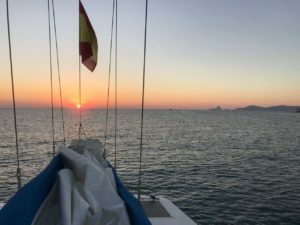 The following morning, we head towards Ibiza and set off for a 55 mile navigation. 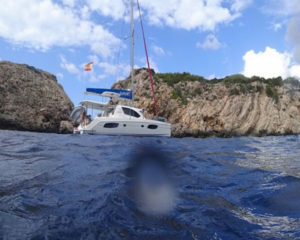 With the help of the motor, it takes us about 10 hours to arrive at the north of the island, Cala de Sant Vicent (point n°1 on the cartography) From the sea, we have difficulty seeing the beach but we soon find it by taking a right. The sea is turquoise, crystal-clear and warm (27°). Even if a small hotel complex contrasts with the natural beauty of the island, we come face to face with landscapes which you usually only dream about seeing from photos. 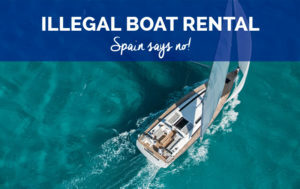 Welcome to the Balearic Islands! We spend our first night moored there. On Monday, we aim for Santa Eularia (point n°2 on the cartography). It’s a charming little town and we make the most of this stop-off to finish off our provisioning and top up on fuel. Then we set sail in the direction of Formentera, the island south of Ibiza (point n°3 on the cartography). It’s a super spot for kitesurfing and we have a real urge to throw ourselves into the water. The navigation is quite simple but you must remember to stay vigilant in this area with traffic from ferries going to and from the islands. We arrive at Formentera at the magic hour! We choose our anchorage for the night: a sort of lagoon with a long stretch of sand sheltering us from the north-eastern winds. 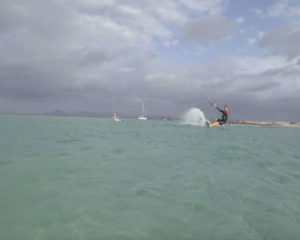 The following day, the wind picks up and even if the sky is grey, there are still great conditions for kitesurfing! We spend another peaceful night moored here. On Wednesday morning, we make the most of the clear water to do some snorkelling and swim with fish. The wind is still strong, even reaching up to 38 knots. 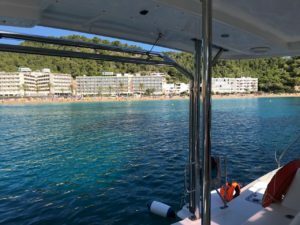 In the afternoon, we set sail, downwind and then cutting across, towards the southern point of Ibiza. The ragged cliffs are impressive and the navigation is easy. 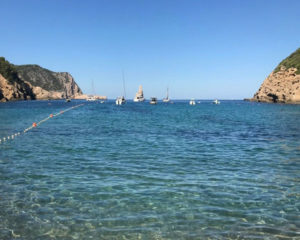 We make a stop for lunch at Cala Vedella (point n°4 on the cartography) and we even take advantage of this opportunity to go for a swim. We swim among the caves and the rocks are remarkable! And on land, the coast is wild and ragged. 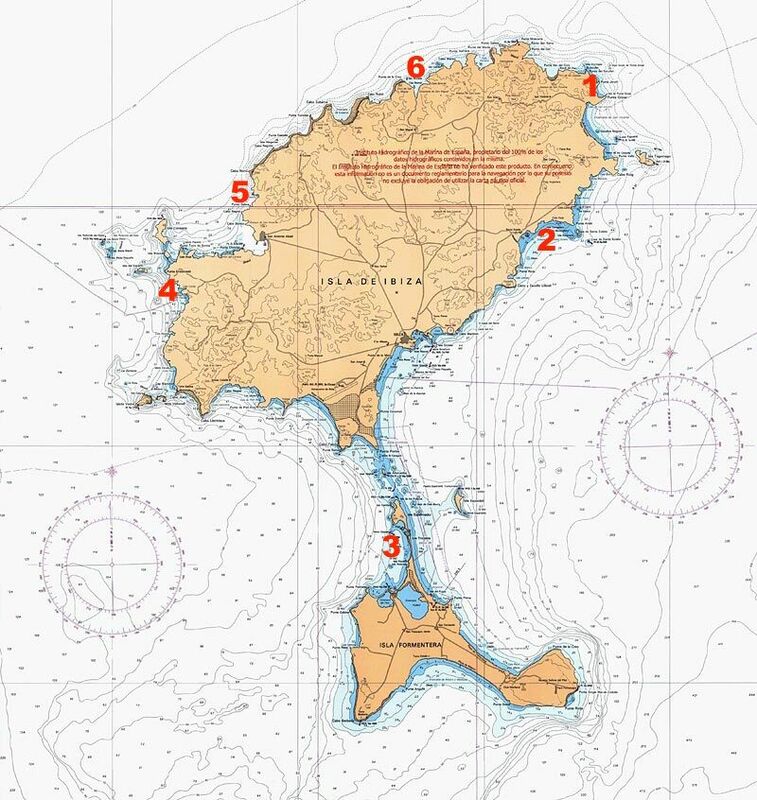 At sunset, we choose our anchorage: la Cala Salada (point n°5 on the cartography). This is a steep but charming cove with a little sand beach and pretty paths in the rocky inlets. It’s already the last day of my cruise! We do a little navigation along the cliffs towards Cala Benirras (point n°6 on the cartography). 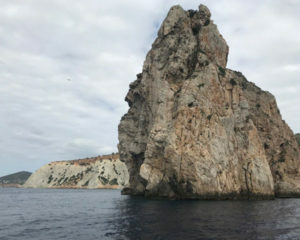 A rock jutting out marks the entrance into the little bay. We don’t need to look any further! We drop anchor and all spring into the water from this massive rock! In the evening, the beach becomes a miniature paradise – ‘hippie’ style – where people gather together to greet the sunset to the sound of djeme drums. It is here that I return to land, but the crew take the boat back to Palma the following day. It was a super week! 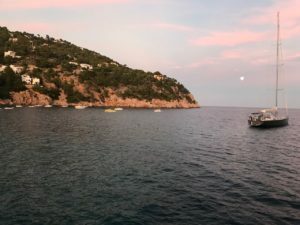 I found Ibiza to be a calm and welcoming island, far from the clichés people often have of ‘the party capital’. 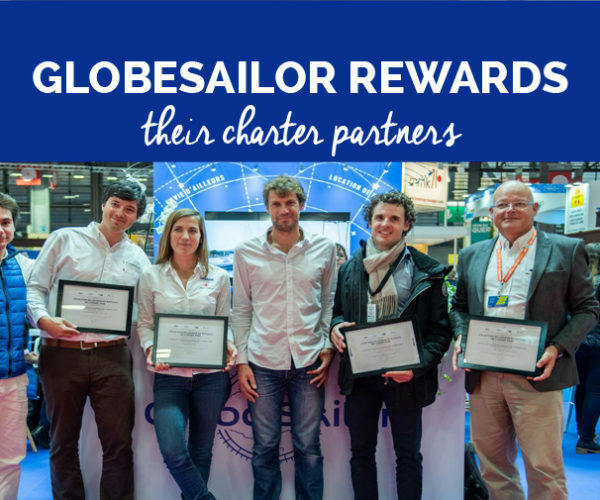 It’s a great destination for sailing and now it’s up to you to see for yourself! Navigation in this area is fairly straightforward. A little trick: be careful not to be too taken aback by the towering cliffs. You can sail downwind towards an island and two minutes later, be sailing upwind as you leave! 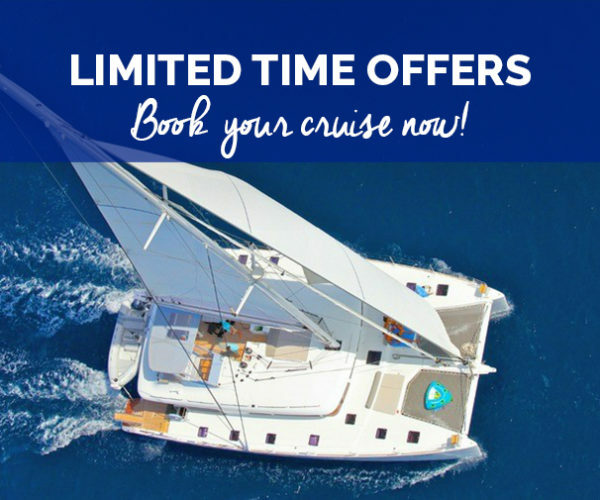 It’s a very comfortable catamaran, easy to solo-manoeuvre from its elevated deck. The connecting door between the galley and the trampoline is a very good idea! 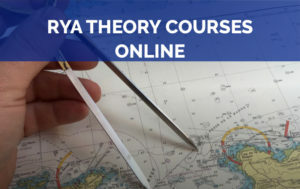 Always wanted sailing lessons? Now’s your chance!